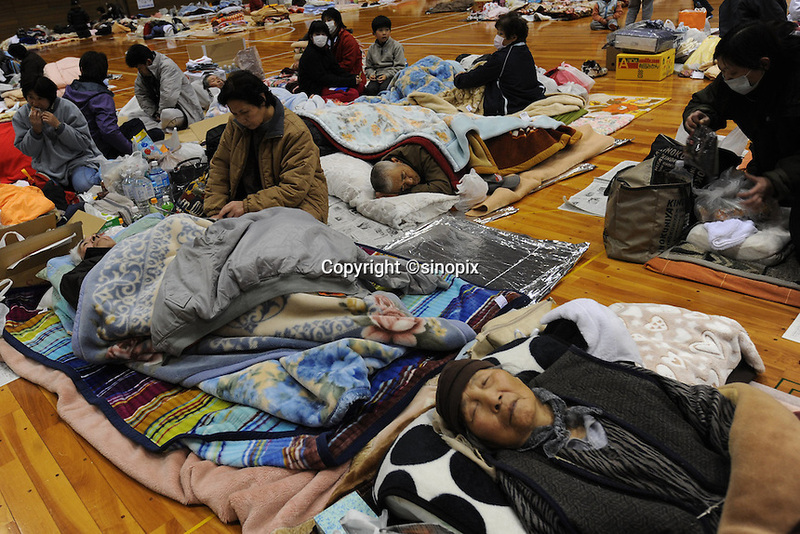 People sheltered at the Azuma Sports Complex in Fukushima, Japan. The gymnasiums, workout rooms and hallways of the Azuma Sports Complex have been designated as shelter at Fukushima City, about 60 km from the Fukushima Daiichi Nuclear Power Plant. Plant was damaged during the Earthquake and following Tsunami that struck Japan on 11 March 2011..17 Mar 2011..